Need windscreen repair or windscreen replacement in Bonny Hills? When you need assistance fast, look no further than the team at National Windscreens. We offer a wide range of mobile car window services in Bonny Hills as well as providing assistance to locals in Lakewood, Laurieton, Logans Crossing, Kew and Kendall. In addition to providing mobile car window services for standard vehicles, we can also help with glass repair and replacement for trucks, buses and other light commercial vehicles. Our team are dedicated to getting you back on the road again no matter what type of vehicle you drive. 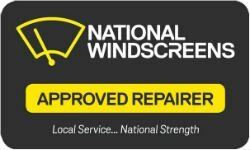 National Windscreens is the team to call when you need windscreen repair and windscreen replacement services in Bonny Hills and nearby areas such as Lakewood, Laurieton, Logans Crossing, Kew and Kendall. For prompt assistance you can rely on, contact us now.